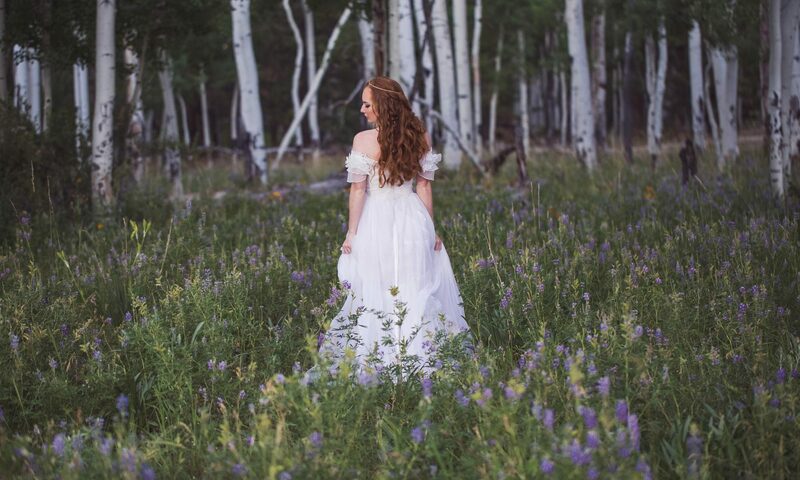 Elisabeth and Jimmy visited Flagstaff in search of a non-traditional wedding venue and fell in love with the idea of having a Forest Wedding. They had recently been to several friends weddings at very traditional locations. For this reason, they really wanted to break the mold for their own wedding by choosing a Forest wedding venue! As a result, they ultimately chose to have their wedding ceremony among the pine trees with a fabulous view of the Mount Humphreys. Afterwards, guests enjoyed drinks and appetizers while awaiting the sunset. Upon the conclusion of sunset, a formal dinner reception took place in an elegantly appointed event tent. With fine china, beautiful flowers and a professionally catered meal; the guests enjoyed a unique and memorable experience. After dinner, a New Orleans style Second Line got the rest of the party started off right! Later in the evening, guests enjoyed stargazing and s’mores by the campfire. Interested in a Forest Wedding Venue? Contact Us for more information about hosting your wedding at one of Forest Wedding Venue locations.